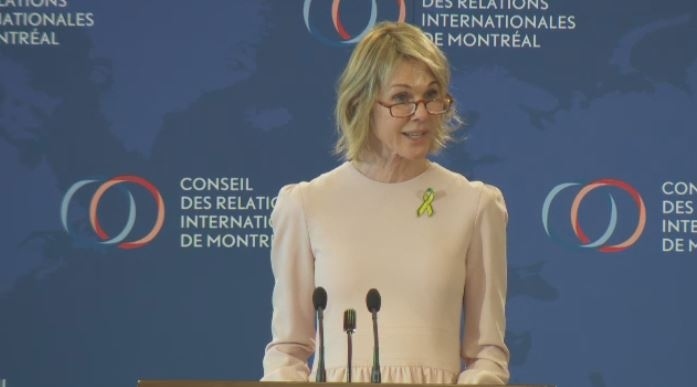 The U.S. ambassador to Canada delivered a cautious speech in Montreal on Tuesday that was devoid of any real substance regarding the important issues facing the two countries. Kelly Craft spoke of the "shared sensibilities" and "true friendship" between the two nations but offered little on the ongoing renegotiation of NAFTA. "A renovation of NAFTA can provide an example for other developed, industrial countries that struggle with anxiety over job quality and job growth," she said at the event organized by the Montreal Council on Foreign Relations. "I'm confident the current talks will result in an agreement that will spur even more innovation and job growth, and serve as a model for the world." Craft, a philanthropist and influential fundraiser for the Republican party who began her ambassadorship in October, took no questions from reporters after her speech. Raymond Chretien, a former Canadian ambassador the United States, attended the luncheon and said it was "wise" for Craft to stick to personal anecdotes and generalized descriptions of world affairs. "An ambassador has to be prudent in the beginning," said Chretien, who was named by Quebec to represent its interests during negotiations with the Americans on softwood lumber, paper, and recently steel and aluminum. "I think if she comes back next year she can talk about our commercial relationship," he said. "She didn't want to go there. What is complicated with the NAFTA negotiations is that no one knows from one day to the next what foot to dance on." There are signs trade relations between the two countries are improving after the Trump administration recently softened some of its demands involving automobile manufacturing. Representatives in both the United States and Canada have signalled the two nations are getting closer to signing a deal. One major ongoing sticking point is Canada's supply management system, which sets prices and limits foreign competition in the country's dairy, poultry and egg sectors. An influential American lawmaker, Senate Democrat Chuck Schumer, recently demanded reforms to Canada's system in order to secure "meaningful and enforceable commitments that will allow U.S. dairy producers to compete with Canada's on a level playing field." Such a change "should be a top priority in NAFTA renegotiation," Schumer said in a letter released to the public this week. 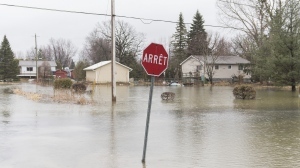 Quebec, in particular, has repeatedly said its supply management system is not on the negotiating table. Christine St-Pierre, Quebec's international relations minister, told reporters after Craft's speech her province's position on the matter is clear. "The Quebec premier, as well as Prime Minister (Justin) Trudeau, have reiterated that supply management will be respected and that we are not putting that on the table," St-Pierre said. The U.S. ambassador to Canada Kelly Craft.